sports | welcome, be my muse! 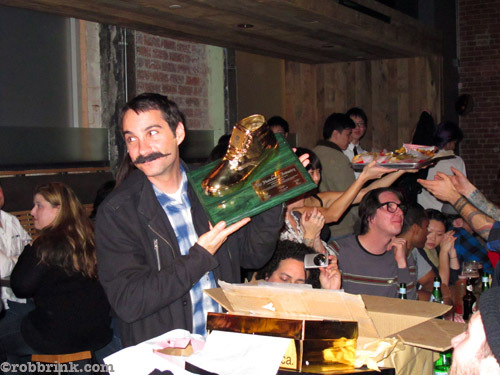 Los Angeles, you’ll have a date on Sunday! 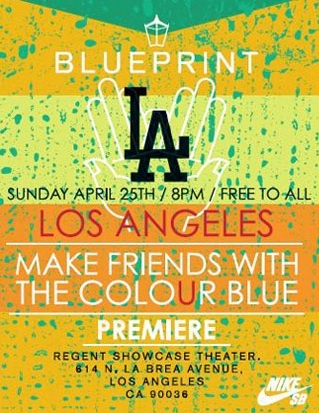 The new Blueprint film “Make friends with the colour blue” will be playing in US theaters from April, 25 starring Kevin Coakley and Paul Shier… The premiere is at Regent Showcase Theater on 614 N La Brea Ave! Dear bike lovers: here’s your bible! Cycling is zeitgeist. Whether it is fixed-gear bikes, cruisers, vintage racing bikes, mountain bikes or motorized city bicycles – moving on two wheels is not only about eco-awareness or lifestyle. This book “VELO” shows passionate cyclists, frame builders, urban planners, artists, professional riders and photographers… And it’s out NOW!! !